You'll be £6.80 closer to your next £10.00 credit when you purchase Memoirs of a Red Cross Doctor. What's this? Synonymous with conflict and humanitarian aid, the mandate of the International Red Cross (ICRC) is to protect the wounded victims of war, civilians, prisoners and refugees alike. 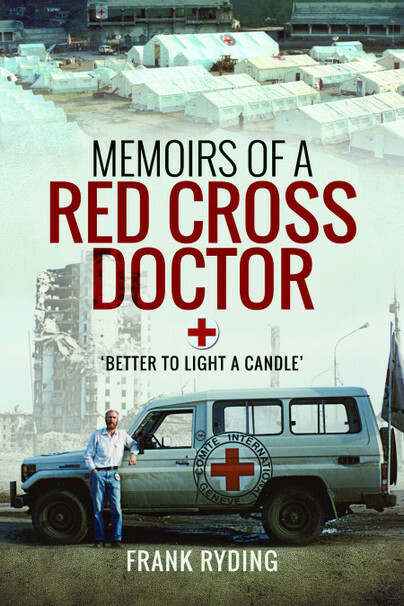 In Memoirs of a Red Cross Doctor, Frank Ryding recounts the missions he undertook with the Red Cross during a career spanning 35 years. Having worked as a doctor in many of the world’s war zones and natural disasters – from the 'killing field' era of Cambodia, to Afghanistan, Chechnya, Somalia, Pakistan and Sudan – his is an account of observation and also personal experience, contrasting the serious, the terrifying, the heart-rending and the heart-warming. It is also the story of the victims who suffer the consequences of war and disaster. It shows both their courage and that of the aid agencies sent to help them. As Frank recalls from some Somali graffiti: ''It is better to light a single candle than to curse the darkness'. rank Ryding has travelled the globe for aid organisation, spending time in Cambodia during the 'Killing Field' era where more than a million people were killed by the Khmer Rouge, and helping victims of civil wars in Afghanistan, Somalia and South Sudan. He was also sent to the aftermath of the Kashmir earthquake in 2005, in the foothills of the Himalayas, that killed more than 80,000 people. Now his work has been documented in his book, 'Memoirs of a Red Cross Doctor: Better to Light a Candle' which feature incredible images that paint a picture of his life. The whole book is full of interesting stories, that mix the mundane and serious with the extraordinary. It's well written and highly recommended. The memoirs give a good account of the patience and dedication of the staff from all over the world of the ICRC. They also show humanity at its best - selflessly tidying up the mess that others have created! Dr Frank Ryding is an anaesthetist from Hereford who started working for the International Red Cross in 1981. His Red Cross experiences were made into several programmes for BBC Radio 4: ‘Letters from the Front Line’ and the programme ‘Friday Lives’ won the ‘Sony Award for Best Feature’. He was awarded an OBE for ‘Services to the Red Cross and the campaign to ban land-mines’. Outside medicine, he writes plays, runs a hospital choir and lectures on architecture. In another life, he spent 2½ years on the ice on two expeditions with the British Antarctic Survey anaesthetising elephant seals.